The rules were simple for me to get this interview. I was to be blindfolded and led to his secret hideout. I was to ask questions, which were to be translated by one of his assistants. I was not to have a translator. I would only be able to understand his answers when I returned to the USA. It would be then that I would understand how truly chilling this terror mastermind is. Translator: (to Tim Kochenderfer) You may begin your questions. Tim Kochenderfer: Thank you. (to bin Laden) And thank you sir for welcoming me into your home. So I hear you had a little bundle of joy recently enter your life. Tell me, how does it feel to be a father? Has it changed your life? 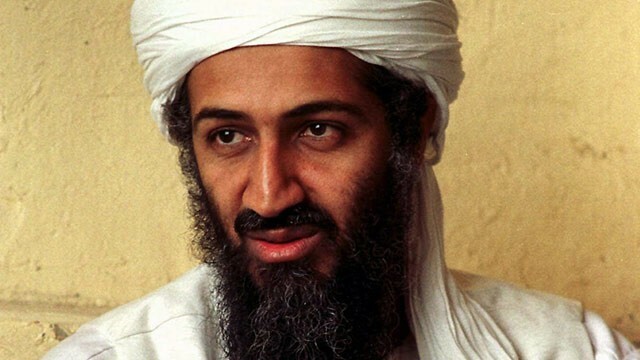 Osama bin Laden: I don’t know… I don’t… What are you talking about? (to Translator) Tell him next question. Tim Kochenderfer: Okay, so do you have to change the diapers, or do you have people to do that for you? Translator: No more questions about fatherhood! Osama bin Laden: What’s he saying? Tim Kochenderfer: Okay, you’ve spent a lot of time in the desert. If it wasn’t cold in the arctic, would you live there? Osama bin Laden: It doesn’t matter! Tim Kochenderfer: There would probably be more hiding spaces. Osama bin Laden: It doesn’t matter! It’s not warm there so why are we even talking about it?! Tim Kochenderfer: If they paved the desert, would you be mad or would that be a good thing? Osama bin Laden: Why would they pave the desert?! These questions are foolish! Tell him to ask me about terrorism! Translator: Ask him about terrorism. Tim Kochenderfer: Okay, have you ever met Osama bin Laden and if so, what’s he like? Osama bin Laden: I am Osama bin Laden! Translator: He is Osama bin Laden! Osama bin Laden: Okay, good. Tim Kochenderfer: And when he went to detonate the bomb a ton of rubber snakes shot out, like your bomb maker played a joke on you or something. Would you be mad? Osama bin Laden: Yes! I would be furious! Of course I would be furious! These are not real questions! You need to know I will bury the west and will not rest in my efforts until the world is under my rule! Tim Kochenderfer: Let’s talk about jihad. Tim Kochenderfer: Can you tell me the difference between jihad and let’s say a pancake breakfast. Osama bin Laden: Jihad is holy war and pancake breakfast you eat it! The differences are too many! It would be a waste of time to name them all! Listen to me, you and the rest of the infidels are in for a massive attack. Tim Kochenderfer: Yes, I agree, maple syrup is good. Osama bin Laden: I wasn’t talking about maple syrup! Who set this interview up?! Tim Kochenderfer: What do you like better? Islam or Judaism? Osama bin Laden: What do you think?! (to translator) This man has no idea who I am! Tim Kochenderfer: Okay, tell me this. If a man is sent to prison, do you think his beard should be sent to a separate prison? Osama bin Laden: No! There are no prisons for beards! Beards are not a living thing! Now listen, the west is a great Satan! The only way to destroy it is through violence! Tim Kochenderfer: Let me ask you this, if Muhammad was alive today and you saw him wearing a baseball had and wearing a shirt that says ’I heartUSA’ would you change your ways? Osama bin Laden: Blasphemy! Execute him! Terrorist: Director, I’ve arranged that pancake breakfast inside the New York Subway system, just as you’ve requested. Osama bin Laden: Idiot! I didn’t say pancake breakfast, I said Jihad! Jihad! Tim Kochenderfer: (to my photographer) He’s calling for a pancake breakfast, let’s get out of here! « With A Neighbor Like This, Who Needs Neighbors?